Morocco is situated on both the Atlantic and the Mediterranean coasts and has a typical mix of Arabic and Mediterranean flavours. A region where spices are used extensively. 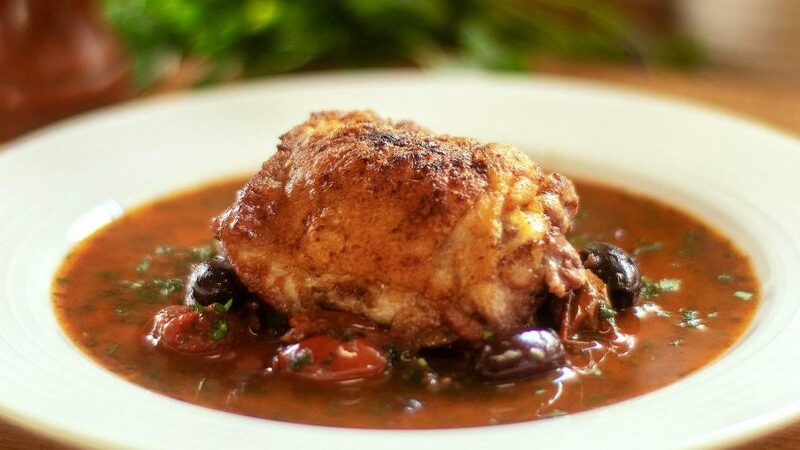 This dish is normally slow cooked using a tagine with whole chicken pieces, however you can also make it using a good chicken stock and chicken breast as per this recipe. 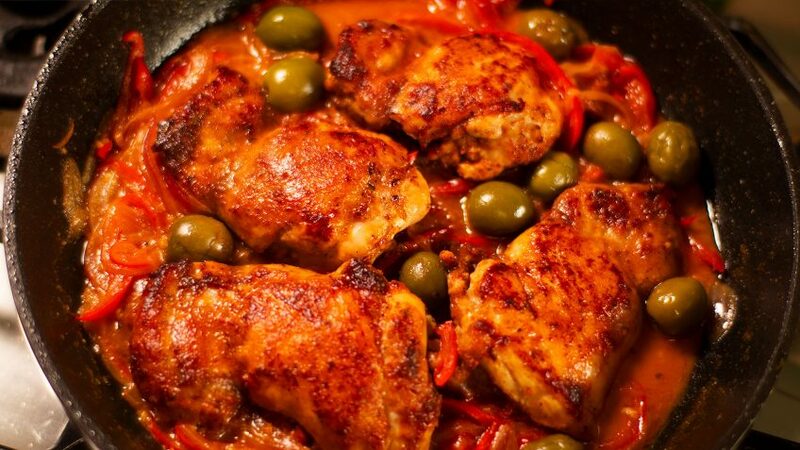 This lemon Moroccan chicken recipe is made with preserved lemons that really lifts the flavour. You can buy them or see my recipe how to make them when lemons are in full season. 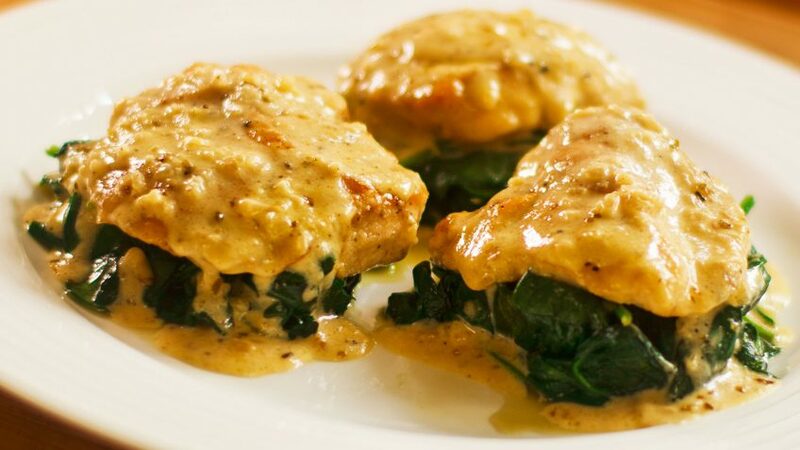 Slice each chicken breast into three medallions. To a mixing bowl, add ground paprika, ground cumin, ground ginger, ground coriander and a pinch of salt (Note: if lemons are very salty, do not add salt). Mix all ingredients. 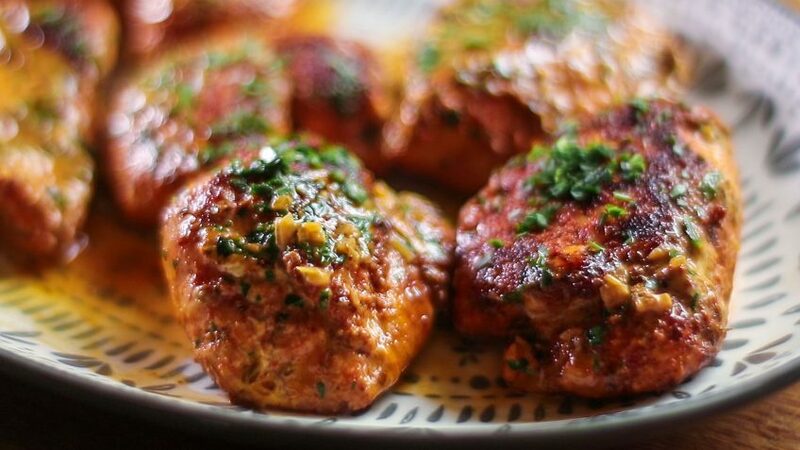 Completely cover each side of the chicken breast slices, with the spice mix. Peel and finely chop the onion, keep aside. Chop the coriander roots and leaves separately and keep aside. Chop the parsley stalks and leaves separately and keep aside. Place an oven proof pot on moderate heat with four tbsp olive oil. 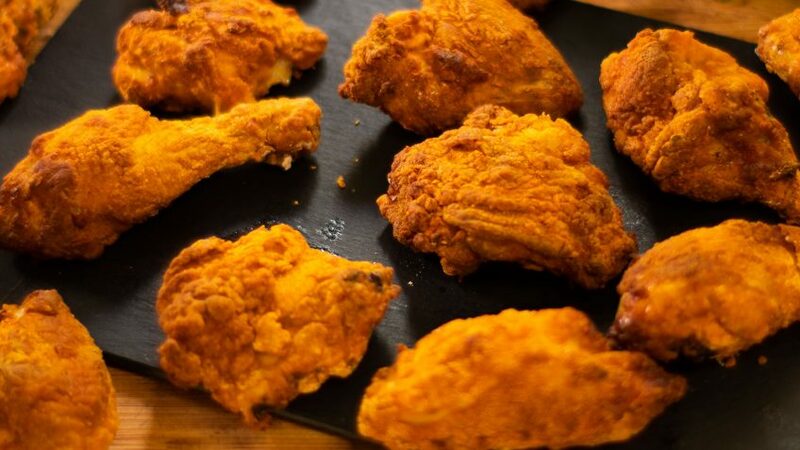 Fry each side of the chicken pieces until brown, you may need to do that in two batches. Then keep chicken aside. Add the chopped onion and lightly sweat. Peel the garlic and grate into pot. Season with a little salt and pepper (taste first and remember that preserved lemons can be salty). Add the coriander roots and parsley stalks. Wash the preserved lemon under water, cut into quarters, remove the pulp. Slice two of the quarters into thin strips and add to pot. Return the chicken to the pot and pour in any of the chicken juices. Cover with a lid and bake for 30 minutes at 180ºC – 350ºF. After 30 minutes, add all the olives. Slice the remaining lemon skins in half and add to pot, continue cooking for 30 more minutes. 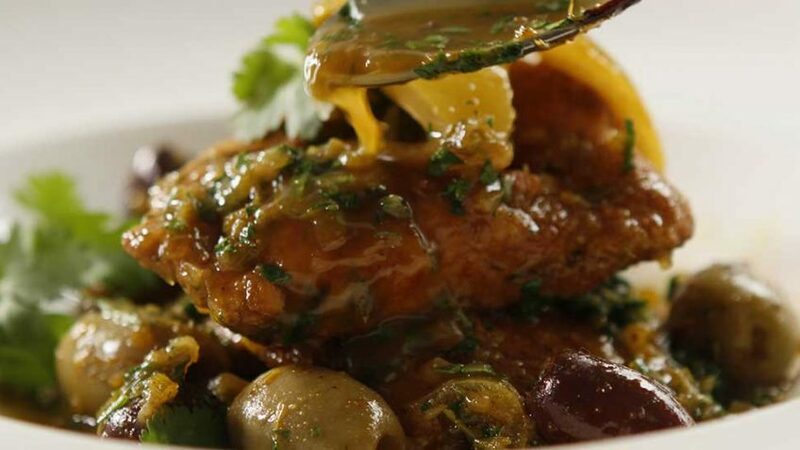 Remove the chicken from pot, add the chopped parsley and coriander to the sauce, mix well and cook for 30 seconds before serving. If you can't get preserved lemons, cut one in half and microwave it for four minutes or until soft. This dish is best served with couscous. Double the recipe as it will taste even better the day after.